JOHN SMEDLEY 'RESCUE' RETRO SIXTIES ROLL NECK STRIPED MOD JUMPER (Pumice) - Part of the John Smedley 20 Truths Collection. 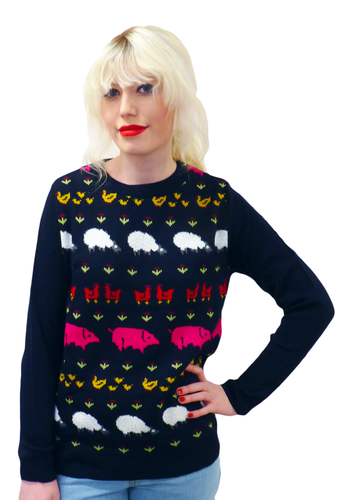 Elegant daytime and evening wear courtesy of the fab Retro 'Rescue' Pullover by JOHN SMEDLEY. 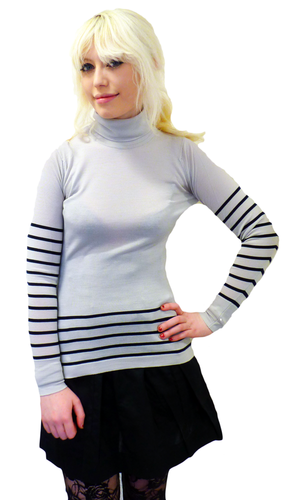 Sixties Mod roll neck with stunning covered buttons and finished with a Retro chic stripe trim. Sophisticated knit wear with a delightful visual appeal. Vintage Indie charm, made in Great Britain and part of the John Smedley 20 Truths range - 'Rescue' Roll Neck Top by JOHN SMEDLEY. 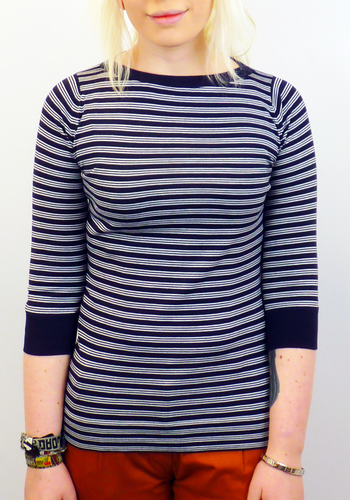 A classic Vintage Sixties inspired garment, 'Rescue' by JOHN SMEDLEY. Stunning pumice grey is cleverly accentuated by a traditional Mod Breton stripe detail in midnight. With cool Retro covered buttons elegantly enhancing the Mod Roll Neck and a fab tapered silhouette. 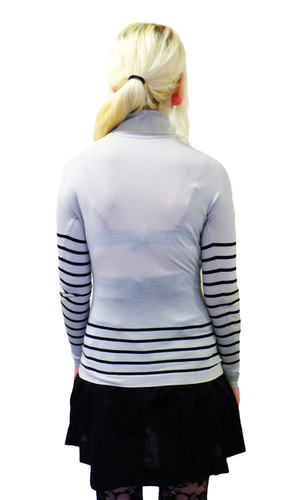 The sleeves and lower portion of the body feature the stripe contrast and the main body is in block colour pumice. Nice cuff detail. 'Rescue' Retro Sixties Roll Neck Pullover by JOHN SMEDLEY. Made from luxurious New Zealand Merino Fine Wool. JOHN SMEDLEY 'RESCUE' RETRO SIXTIES ROLL NECK MOD JUMPER WITH BUTTON DETAIL. 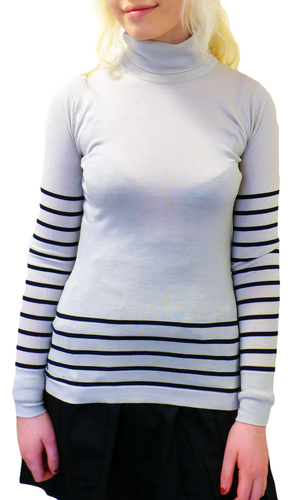 'RESCUE' RETRO SIXTIES ROLL NECK MOD TOP WITH BUTTON DETAIL by JOHN SMEDLEY - Womens 'Pumice grey Retro jumper with Sixties MOd Breton stripe detail to lower body and to sleeves. The rest of the garment is in block colour pumice. 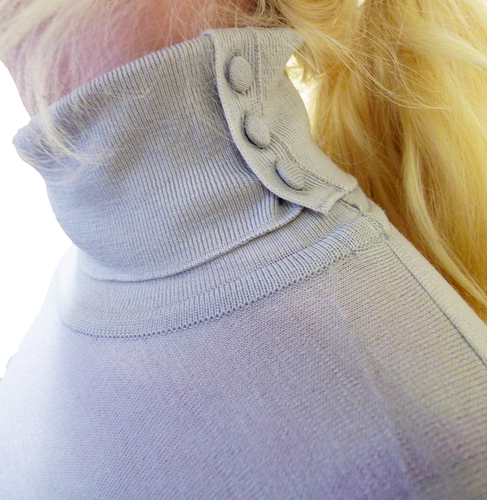 The Retro roll neck benefits from stylish Military Indie covered buttons. Fab shape and elegant cuff detail. Composition: 100% JOHN SMEDLEY New Zealand Merino Fine Wool. SKU: 'Rescue' JOHN SMEDLEY Roll Neck Jumper. JOHN SMEDLEY 'Rescue' Mens Retro Sixties Mod Roll Neck Jumper.